Shot at an outdoor concert of South Africa's most popular muso as the official photog. Ambient afternoon light. Hand-held. Very little warmth and sharpening added. Image almost as from camera thanks to a superb lens. Exported from RAW via Nikon ViewNX, minor sat, minor curves, USM, crop, resize, borders, SFW. 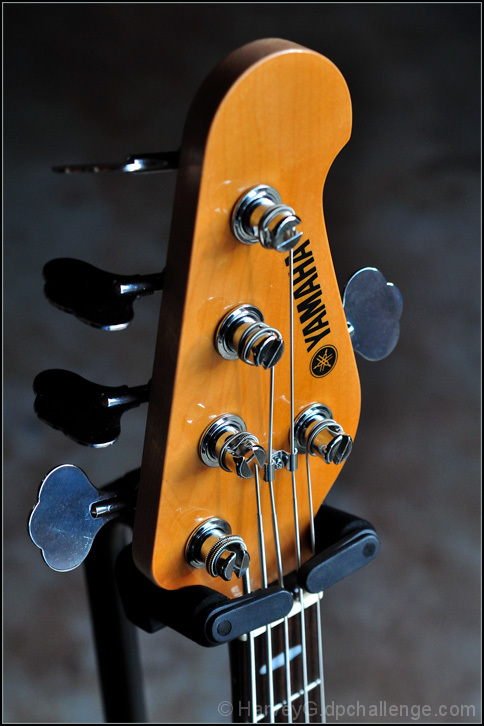 Ahhh, a five string bass. Neat shot. Nice clean image, but the composition feels chopped off. Perhaps an angle that would have the neck disappear into a blur, rather than cropped off? Here is my personal scoring scale with 2 points each. The idea behind is to justify the score I gave. You have all right not to agree with it. This is just my personal opinion with whatever little photography knowledge I have. Hope it helps. I like this. I feel you made a good decision to photograph only part of the guitar, and you've done it well. Proudly hosted by Sargasso Networks. Current Server Time: 04/20/2019 04:58:58 PM EDT.